Blanco was involved in the drug-related violence known as the Miami Drug War or the Cocaine Cowboy Wars that plagued Miami in the late 1970s and early 1980s. This was a time when cocaine was trafficked more than marijuana. It was the lawless and corrupt atmosphere, primarily created by Blanco's operations, that led to the gangsters being dubbed the "Cocaine Cowboys" and their violent way of doing business as the "Miami drug war". 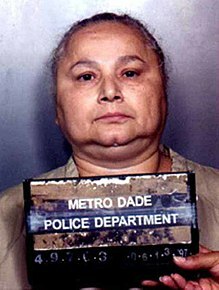 On February 17, 1985, she was arrested by DEA agents in her home and held without bail. After her trial, Blanco was sentenced to more than a decade in jail. While in prison, she continued to effectively run her cocaine business with the help of her son Michael Blanco. ^ "Her mother's name". Semana (in Spanish).